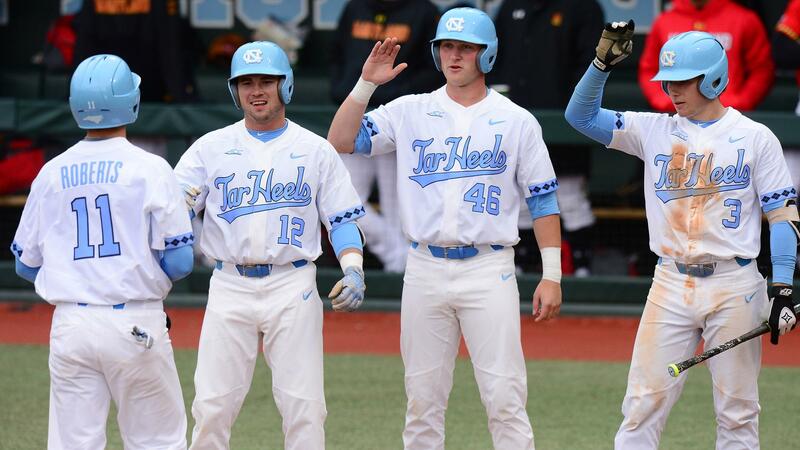 After going 4-1 this past week–including a series win against Miami over the weekend–the UNC baseball team still managed to slide down one spot to No. 16 in this week’s edition of the D1Baseball.com Top 25 poll. This represents the lowest UNC (16-5, 2-4 ACC) has been ranked all season. UCLA is the nation’s new No. 1 team, followed by No. 2 Mississippi State, No. 3 Stanford, No. 4 Louisville and No. 5 Georgia. Rounding out the top 10 is a group that includes: No. 6 NC State, No. 7 Oregon State, No. 8 Vanderbilt, No. 9 Texas and No. 10 LSU. For the full D1Baseball.com Top 25 poll, click here.